A little inspiration for those of us attempting to get on top of the rubbish we are sending “away.” There is no such thing! 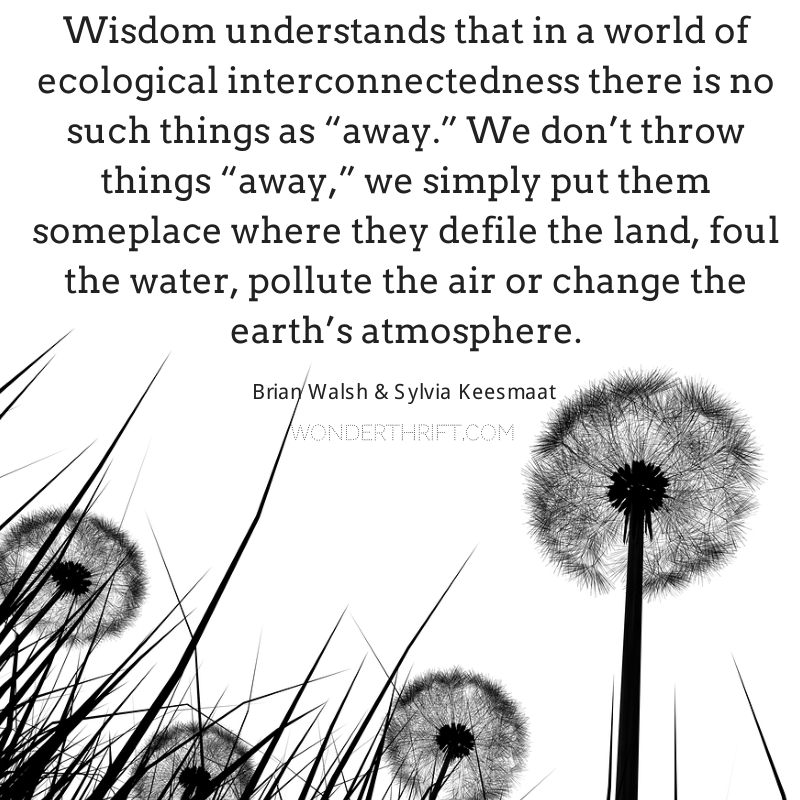 I think this idea of “interconnectedness” is one that can encourage us in our endeavours to use less and recycle more. Because aren’t we just one part of a wonderful and precious circle of life? In October I will be joining in, with WONDERTHRIFT, Zero Waste Week. You can guess what the challenge there is, eh? Join up through their inspirational Facebook Page and we can do it together! Or if you are a blogger – join me as a Blog Ambassador!